Here is our guide to saving money off your quote. Get at least 3 quotes for your project. This may seem like a no-brainer, but from our experience in the construction trade we know a significant number of homeowners accept the first quote. Research has shown that you can save up to 32% by getting 3 quotes rather than accepting the first offer. Play your chosen companies off of each other. When you have all the quotes, phone each company and ask them if they can lower the price to match their competitors. You can realistically expect a company to drop their price by 10%. Thank you for your quotation dated 10th September 2014 for replacement roofline boards and guttering @ £4500.00. I have received two other quotes from local businesses @ £3750 and £4000. I would really like you to do the work as I was impressed with the way you answered all of my questions when we met last week. Could you please review your figures so it’s a little closer to the other quotes I have received? My wife and I will then make a decision about which company to choose. I have had a look at the figures and would be comfortable doing the work for £4100. That really is my best price as I feel the materials I use are the best in the market and I don’t use sub contractors, all work is done by myself. Please let me know if you would like to proceed with the work. The customer accepted the revised quote and saved £400. This type of negotiation is common place and if you are not initiating it, then you are losing out! We suggest you aim for 10% off the written quote. Many businesses experience a drop in demand during the winter months of January, February and March. 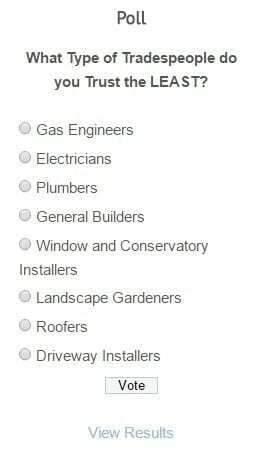 Gardeners, roofers, window installers and conservatory fitters are worst affected by this seasonal dip. This is your opportunity to negotiate a discount. This approach works best with businesses that work outside; plumbers and electricians are busy all year round so are less likely to offer seasonal discounts. National double glazing installers have been known to offer crazy discounts during this period just to keep their businesses “ticking over” until the market picks up in the springtime. If you have a project that is outside and is not urgent then we suggest waiting until December before getting quotes, so the work can be completed in Jan-March. You may need to get more than 3 quotes and you may need to negotiate hard, but if done correctly you will be amazed at how low some of these companies are prepared to drop their prices. VAT is currently set at 20% but you can legally avoid this by choosing a smaller company that is operating below the VAT threshold. Any company or trader that has an annual turnover below £82000 is not required to charge their customers VAT. Some traders will ask their customers to pay for the materials directly with the suppliers and only invoice the customer for labour. This benefits the traders because their turnover stays below the threshold, they have less paperwork and their prices are more competitive. It benefits the customer because he/she is legally avoiding the VAT. For businesses waste disposal is very expensive. Your chosen company will probably load any waste into their vehicle before spending time and money driving to a private waste disposal yard. It currently costs £75+VAT per tonne of mixed waste, this excludes labour fees and fuel costs. Estimate how long it will take you to load the waste, drive to the yard and unload it. You can realistically expect your chosen tradesperson to reduce their quote by £100-£150 per tonne of waste if you agree to dispose of waste yourself. If you are having lots of jobs done on your house at the same time(roofers, plumbers, electricians, gardeners etc) then negotiate discounts with each and arrange skip hire. It may work out cheaper than paying each tradesperson to dispose of the waste individually. Can You Save Money With Rated People Today? We have partnered with Rated People, the United Kingdom’s leading consumer quotation service to supply you with up to 3 written quotes for your project. You can read reviews from genuine past customers, check qualifications/credentials and take your time before deciding if you wish to proceed with any of the contractors. We really like Rated People because you are under no obligation whatsoever and their service is free of charge. 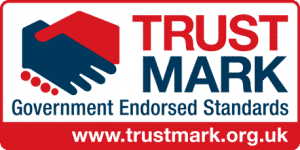 They also highlight traders who are Trustmark approved.